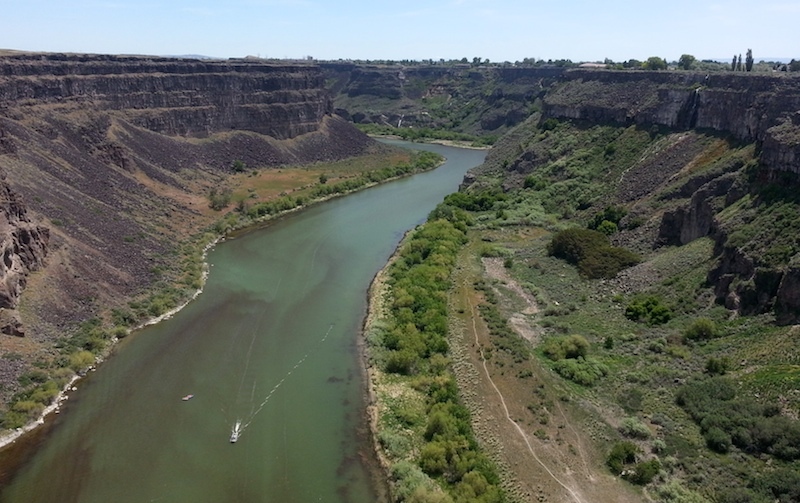 We got into Twin Falls after dark so when we woke up the next morning and looked out our window, we noticed that the scenery was very flat. Not many mountains, just flatness. But of course, we're the researching type of people, so we knew this wasn't really true. Somewhere in Twin Falls there had to be some kind of variation to the flat landscape. Well, it's called Twin Falls for a reason. There are actually many waterfalls in this desert city in south-central Idaho. 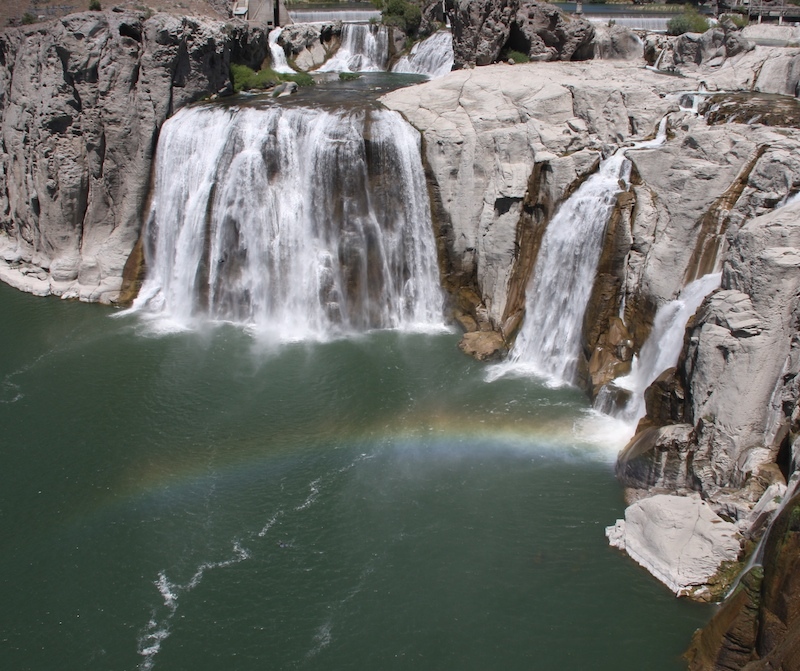 These are probably the most famous, the Shoshone Falls. Even though the water levels were very low, it was still pretty. 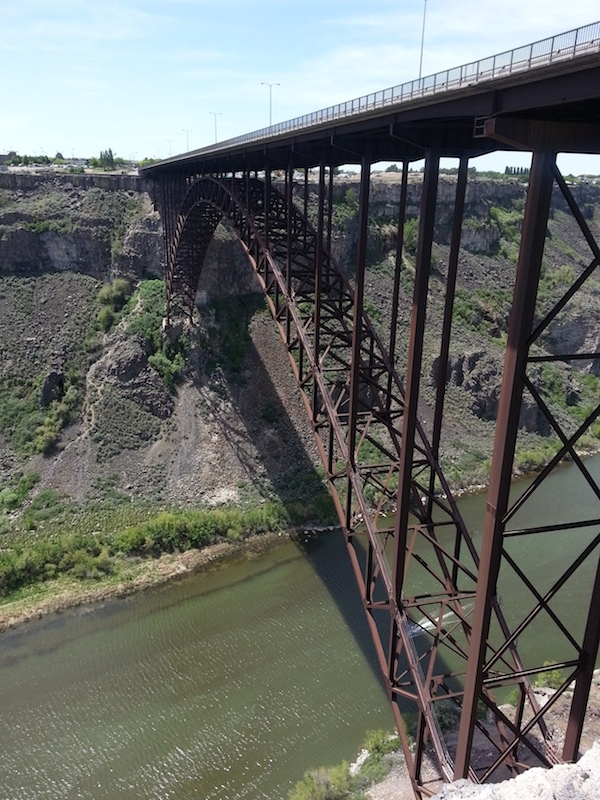 The falls are in a huge gorge created by the snake river. But aside from this fantastic gorge with a beautiful river, the city is flat. And if you didn't know any better, you wouldn't have a clue that this massive canyon was in the middle of town. 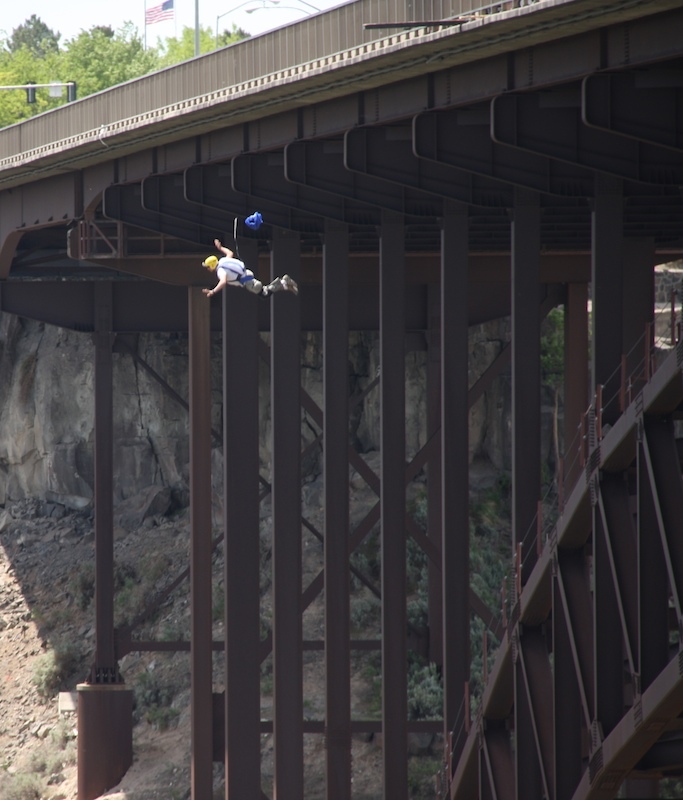 Spanning the river is the Perrine Bridge. 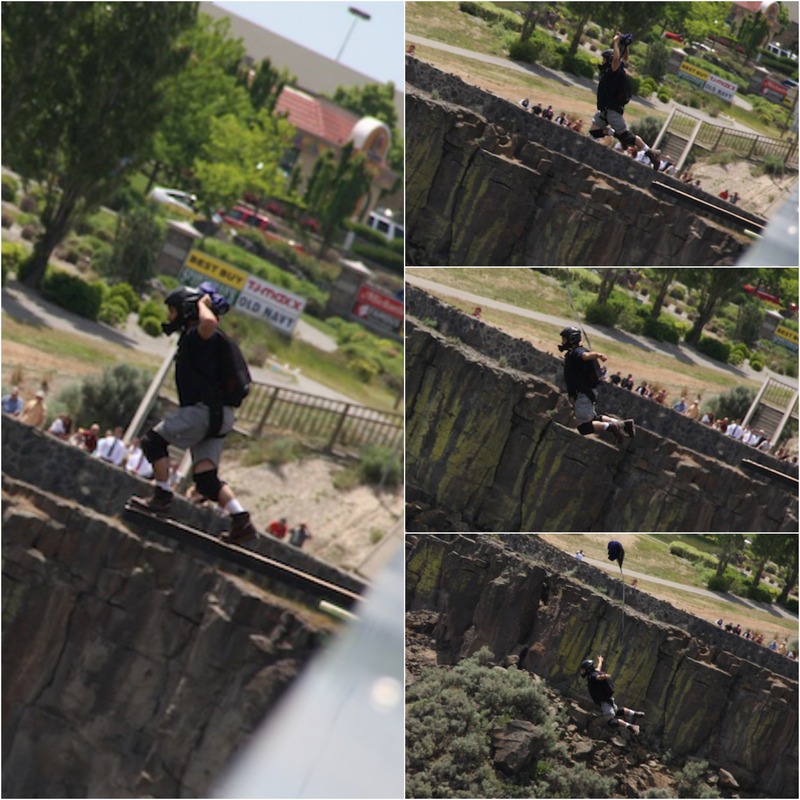 Jimmy and I walked to the middle of the bridge to watch more of them jump. It was fun to watch them. And before you ask, no, I wouldn't do it. Though in another lifetime (ie before I turned 40, lol) I seriously considered tandem sky diving. I might be afraid of cranes, but I have absolutely no fear of heights.